Optional toppings: crumbled cooked bacon, chopped green onions, minced fresh herbs, diced jalapeños, shredded cheese, pesto, salsa or tomato sauce. Preheat oven to 425°F. Lightly coat a small baking dish or ramekins with cooking spray (this will keep any extra egg from sticking). Place each avocado half in the baking dish or ramekins. Using a spoon, scoop out a bit of the avocado to make a large enough hole to hold the egg. 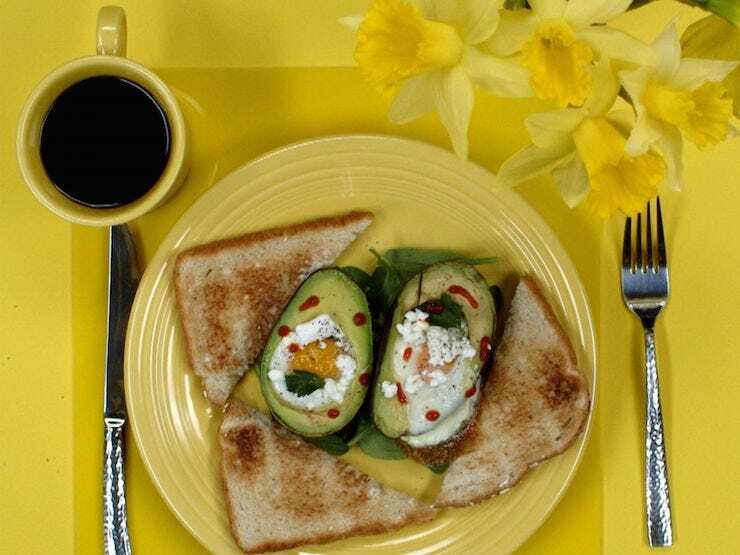 Crack the eggs, one at a time, and gently slide them into each avocado half; season with salt and black pepper. Bake in the preheated oven until the egg white is cooked through, about 15 minutes. Sprinkle eggs with toppings.